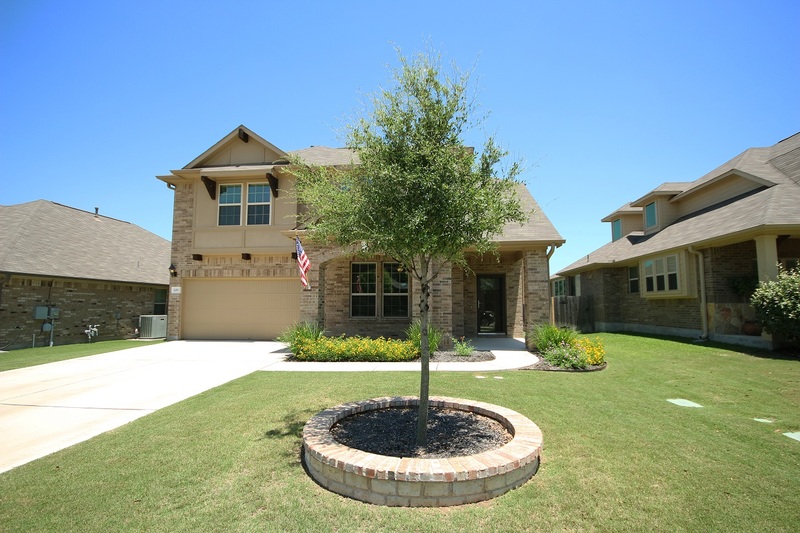 Another Great Home Sold by Premiere Team Real Estate - Beautiful 4 Bed/3.5 Bath home in Whispering Hollow subdivision of Buda, Texas. Still smells brand new! Loaded w/amenities including wood plank tile & wood floors, vaulted ceilings, art niches, built-in shelves, office/study w/french doors, and more. Open center island kitchen overlooks family & dining room, and features granite counters, stainless steel appliances, under-mount sink and walk in pantry. The large master suite includes sitting area, garden tub/separate walk-in shower, & walk in closet w/custom shelves. Upstairs you'll find spacious secondary bedrooms, and a huge loft/game room. The spacious garage has built in shelves for extra storage. Great neighborhood features include park w/playscape, hiking/biking trail, pool, and a newly installed splash pad ready for the summer heat! Close to top rated elementary school, and conveniently located near restaurants & shopping, plus it's just a short drive into Austin! Another great home for sale in Buda, Texas.